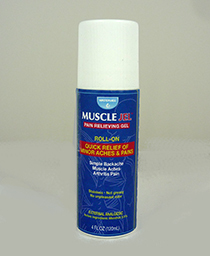 Water Jel Technologies - MUSCLE JEL ROLL-ON 3 OZ. 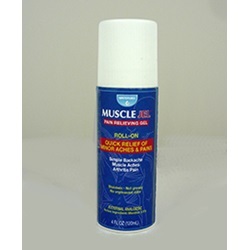 MUSCLE JEL ROLL-ON 3 OZ. Fast, convenient pain relief for sore muscles and arthritis pain. This 3 oz. roll-on is greaseless and stainless with no unpleasant order. It is perfect for those hard to reach areas and its easy application is ideal for the workplace.